This Wikli reaches back a couple weeks. Hope you weathered them well! Come celebrate our updated holiday tradition in Columbia City. So we lost our lighted tree last year, but we haven't lost our tradition. Please join us for our annual lighting ceremony this Saturday, December 4th at 6pm at the intersection of Rainier Ave S and S Ferdinand St. 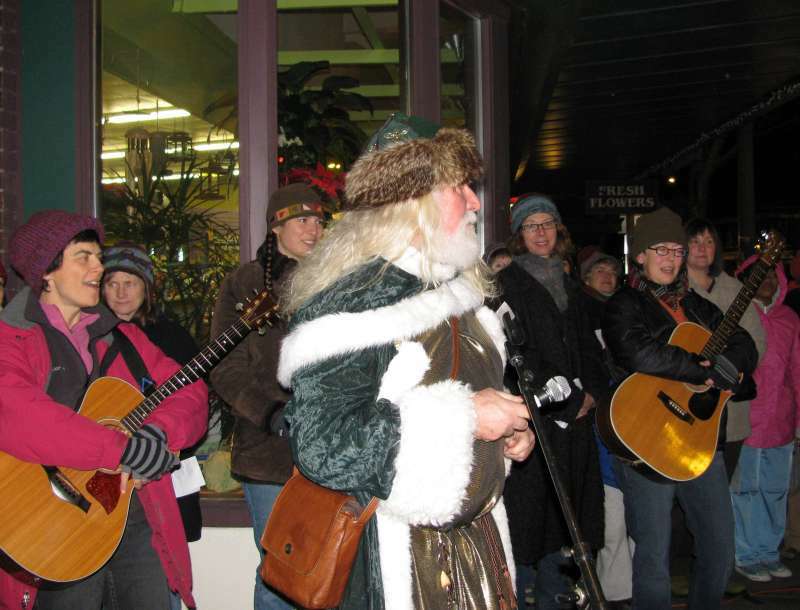 It's a wonderful event for the kids with caroling, cocoa and our magical Father Christmas. The Argosy Christmas Ship Festival visits near Columbia City on Sunday December 5th! 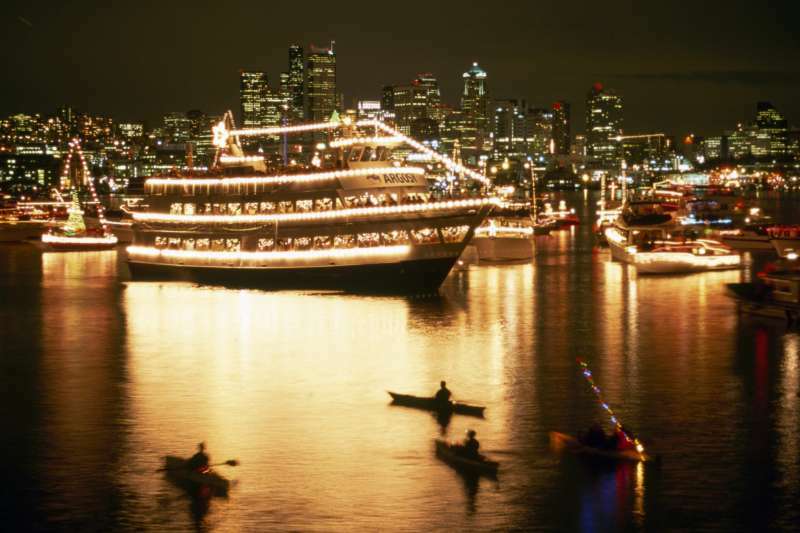 The Christmas Ship will depart from Leschi Marina on at 5pm. It will make its first stop at Ferdinand Street from 5:40-6pm, then Stan Sayres Memorial Park from 6:15-6:35pm and Mt. Baker Beach from 6:45-7:05pm. The Northwest Boychoir will do a 20-minute concert at each of these sites. Tickets are available to ride on the Christmas Ship itself or you can join others for a free bonfire at the Stan Sayres or Mt. Baker Beach stops where you can watch the Christmas Ship arrive and listen to the choir concert which is broadcast over huge speakers to those waiting on shore. My two renters just bought a house in the neighborhood and the apartment's available. 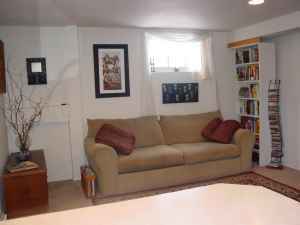 It's a 2-bedroom daylight basement in a quiet house on Brandon St. $750 plus utilities. See my ad on craigslist. 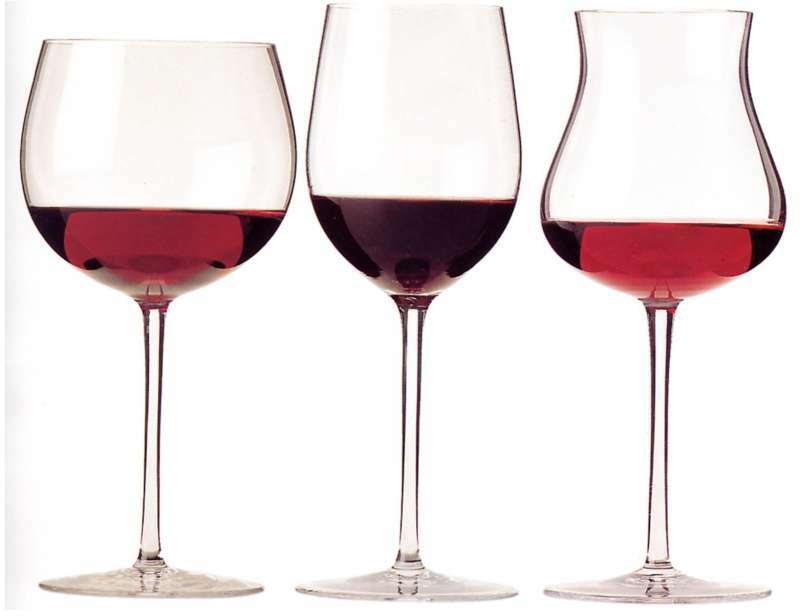 Come jump-start your holiday shopping, or just join us for a little holiday cheer. Enter for a chance to win one of many fun raffle prizes. Browse the displays of creative gift ideas offered by our full house of vendors. 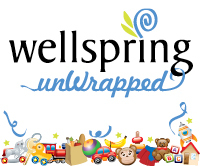 We have quite a variety this year including: jewelry, massage, gardening arts, art prints and cards, knitted goods, scarves and accessories, cooking items, hand made toys, sock monkeys, children's books and much more. Baked goods, coffee and chili dogs (back by popular demand) will be available for purchase. Thank you to our friends at Fisher Scones and Caffe Vita for their donations. 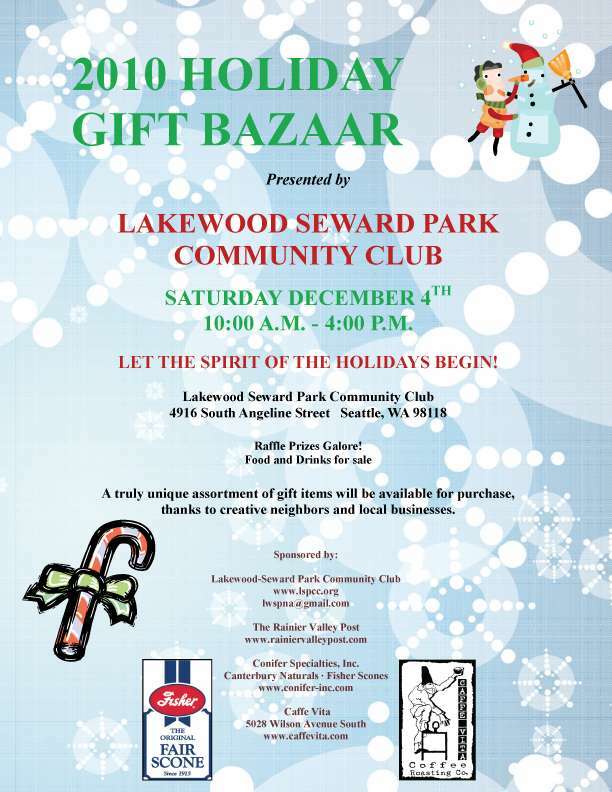 The Lakewood Seward Park Community Club is located at 4916 S Angeline (corner of S Angeline and 50th Ave S). Saturday, December 4. The holiday sale begins at 10am and is open until 4pm. Macabee Martial Arts teaches White Dragon kung Fu and Commando Krav Maga— the Israeli elite self defense system. 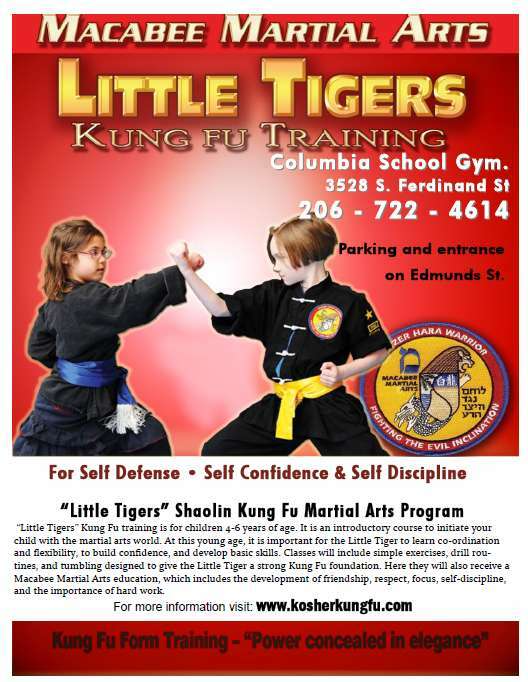 Classes are taught by Jacob Lunon who brings 40 years of martial arts experience to Columbia City and is a member of the United States Martial Arts Black Belt Hall Of Fame. Maria Morales has started a cleaning service, in addition to her shifts as a server at Tutta Bella. She uses natural products and also does windows. Maria is friendly, reliable and thorough. You can moc.liamtoh|nonatsacselarom.lm#reh liame or call 359-5462. Sunday, December 5. 10am till noon. Bring a dish to share. We'll have the coffee on! Tuesday December 14th at 6:30pm, the Department of Planning and Development will hold a public meeting to gather comments and provide feedback about two separate projects in our neighborhood. The meetings are at Northwest African American Museum, 2400 S Massachusetts St, Studio 1. The first project is at 3701 S Hudson St, a 136-unit apartment building located at the NW corner of the St Gobain site, behind the Columbia Motors building. The design firm is Runberg Architecture Group and the developer is Harbor Properties. This will be this project's second meeting, and this might be the last chance for neighbors and the Design Review Board to weigh in. That session starts at 6:30pm. 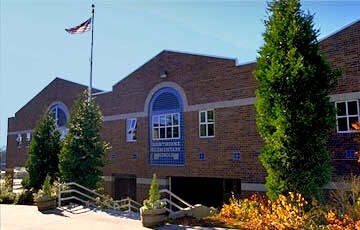 The second is for 4484 Martin Luther King Jr Way S, to the north of the Rainier Vista Boys and Girls Club. 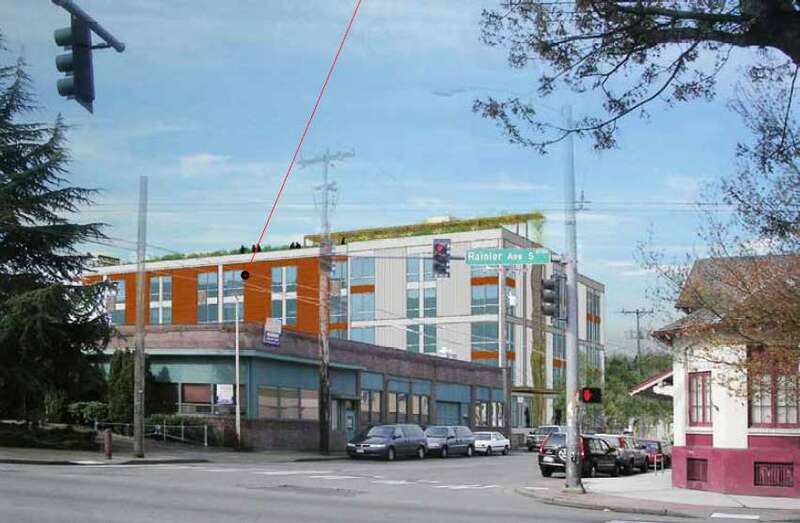 It's a 52-unit apartment building intended to house low-income residents. SMR Architects is the designer, and Mercy Housing is the developer. 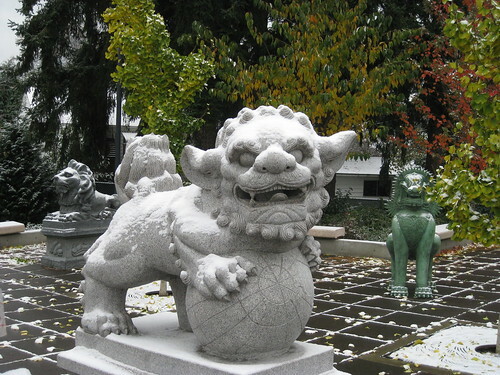 This is the first meeting for this project — it was originally scheduled for 11/22, but it got snowed out. The second session starts at 8pm. Bring your opinions and ideas to a discussion on whether Tea Party momentum and Democratic Party surrender can be countered. Featuring Doug Barnes, national leader of the Freedom Socialist Party. Add your voice to the discussion! 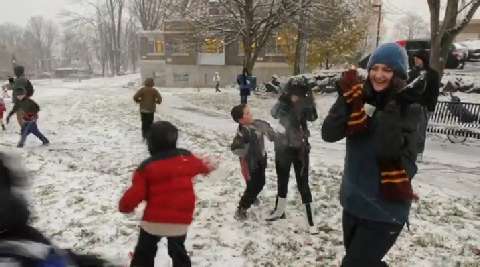 On our first snow day, Columbia Citizens pulled together an impromptu neighborhood snowball celebration on our town green. We had a blast, and we attracted a bunch of news reporters who somehow managed to avoid the crossfire. Thanks to Danny Gawlowski of the Times. 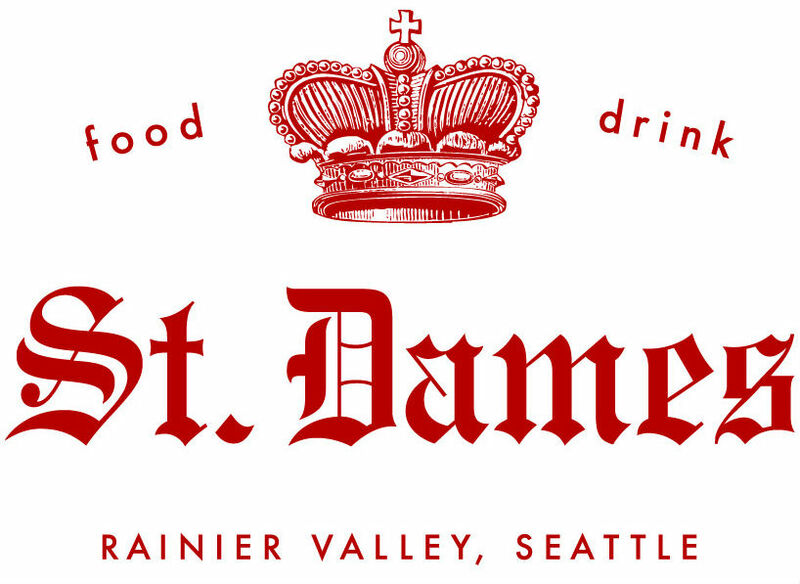 The grand opening of St. Dames is this weekend, December 3 - 5. The restaurant has already started serving dinner, with vegan and no-gluten-added options, and drinks from a full bar. Open for happy hour and dinner Tuesday through Saturday and brunch on the weekends, St. Dames is the brainchild of bar/restaurant and food service veterans Sarah Murphy and Amy Weems. 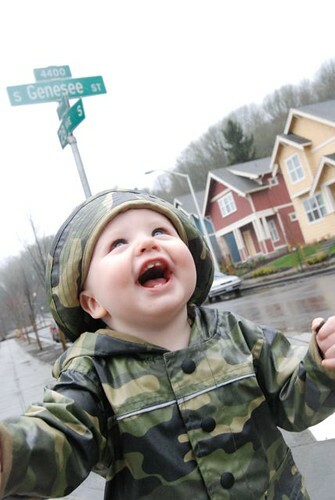 Located just one block from the Columbia City light rail station, St. Dames is easily accessible by car, bus or rail, and a short walk from downtown Columbia City. 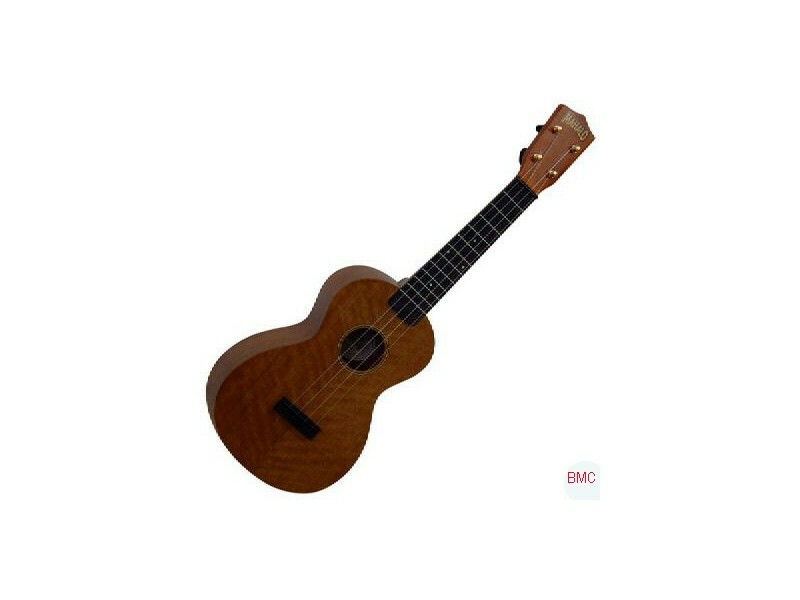 The long dark days of winter are approaching, and you know what that means — it's ukulele time! Come learn the fundamental skills to get you playing this versatile, portable, and fun instrument. We'll get started with a few simple chords and some basic strums. Each week we'll explore two songs. You'll be surprised at the number of songs you can play with only 2 or 3 chords! Bring your ukulele tuned G-C-E-A. 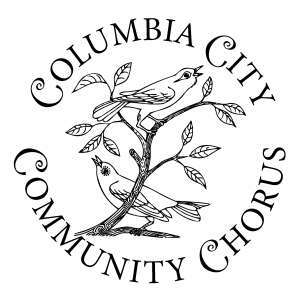 Calling all those interested in helping plan a 3rd annual Columbia City Solstice Celebration! There are rumblings of interest in another solstice party. This year we don't have the financial and coordination support from SEEDArts, so if this is going to happen we'll need to get some helping hands to make it work. 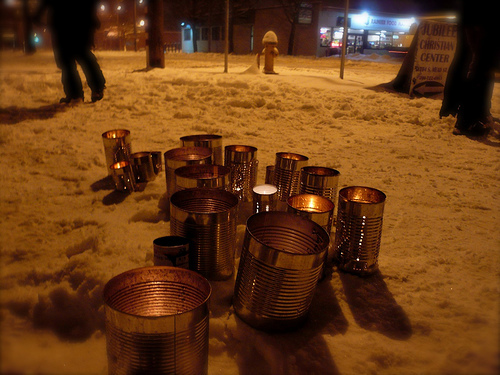 A few pieces are in place: we've got two possible locations (the new Cultural Corner or the Southside Commons), I'm willing to put on another lantern-making workshop, and Dan's ready to make a labyrinth again. We've got the poetry stylings of Paul Nelson and his SPLAB compadres, and I'm working on rounding up some singers.